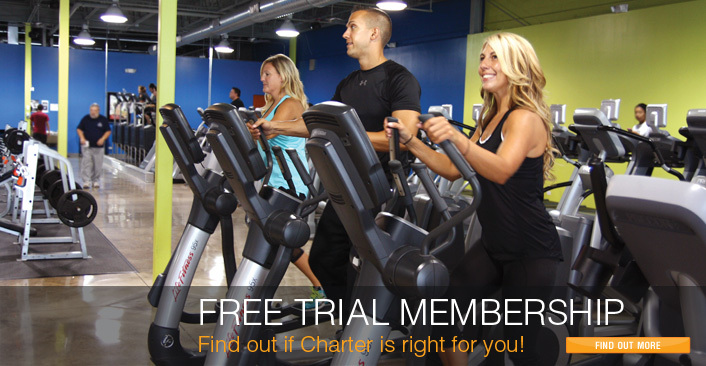 Charter Fitness Gym Center – Your Community. Your Club. Your Wellness. Healthy is winning! Whether you’re looking to lose weight, train for an upcoming event or simply maintain a healthy lifestyle, we can help. Charter Fitness prides itself on being different from the typical expensive and intimidating gym center; we offer a comfortable workout environment, state-of-the-art equipment, and total convenience – for less!